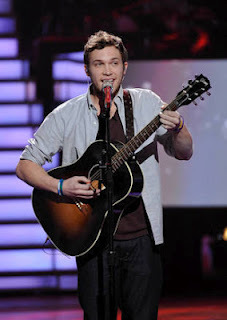 Phillip Phillips was crowned the winner of American Idol's 11th season on Wednesday night, edging out runner-up Jessica Sanchez. The 21-year old Georgia native earned the majority of a record 132 million votes cast after Tuesday night's final performance episode, according to Idol host Ryan Seacrest. The announcement of the winner capped off a two-hour finale that featured 12 of the show's 13 finalists (minus the disqualified Jermaine Jones) and multiple established stars in the music community -- and even a marriage proposal.